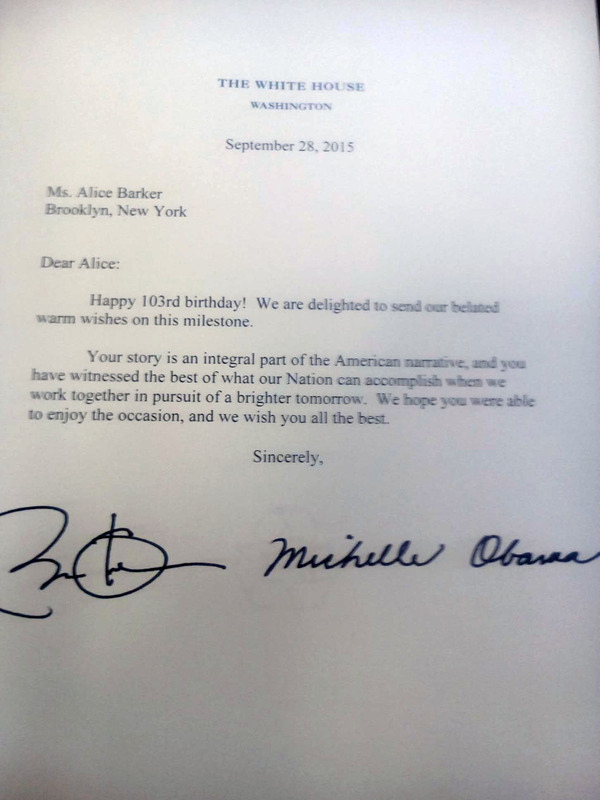 Alice Gets a Letter from the White House! 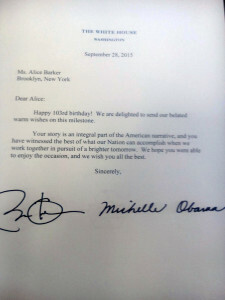 Alice received a letter today from the Obamas! The signatures are hand signed! Of course she is over the moon. This was really the only thing she could have asked for to make her life and legacy complete. Happy 103rd birthday! We are delighted to send our belated warm wishes on this milestone. Your story is an integral part of the American narrative, and you have witnessed the best of what our Nation can accomplish when we work together in pursuit of a brighter tomorrow. We hope you were able to enjoy the occasion, and we wish you all the best. Previous Previous post: Alice’s 103rd Birthday!